Hey there everyone! 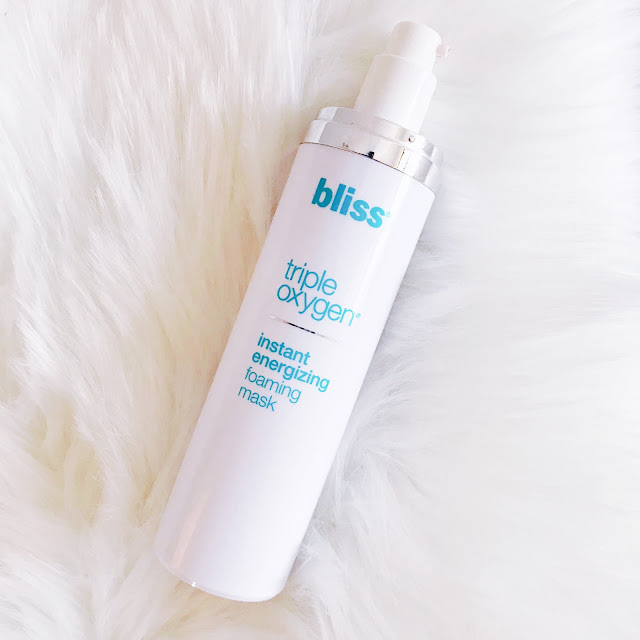 Summer is upon us and taking care of your skin is extra important in the warm months especially when bearing lots of skin -aka living in bikinis- ;) ! Memorial Day this already this weekend, so I decided to try some new items for beach season! 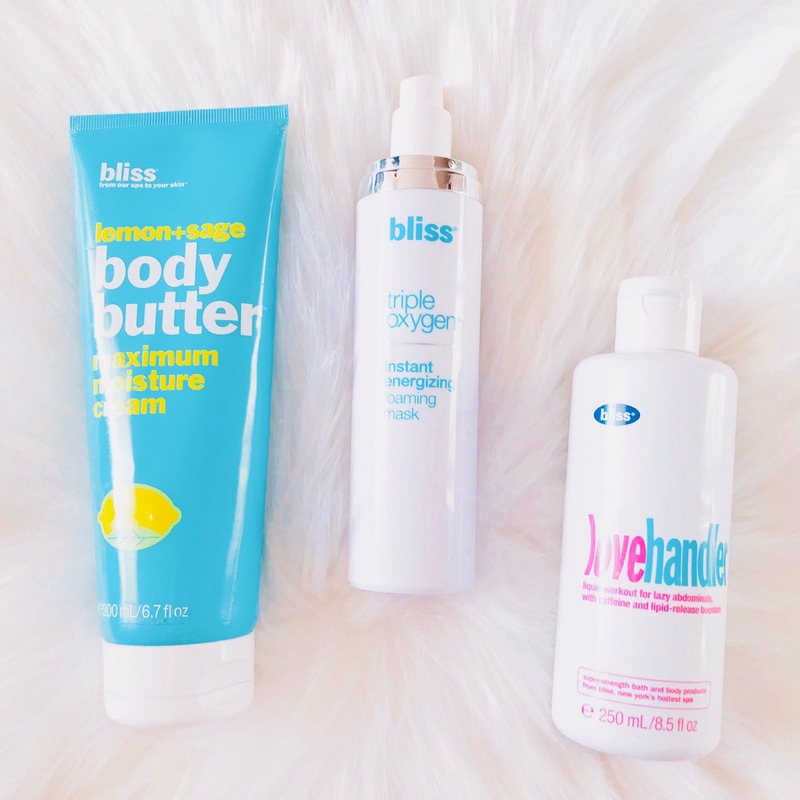 This past couple weeks I tried a few of Bliss's skin care products and have got to tell you all the honest truth! The Lemon + Sage Maximum Moisture Cream's name really does accurately describe it. It's a really buttery texture that leaves you super smooth and moisturized, but not greasy at all! Plus you don't have to use a lot as it spreads well. Plus the lemon scent is amazing and clean and fresh which I love - not like super fruity fake lemony lol-. Love the product!! Okay now for the LoveHandler- First let me start out by saying this is not a product for weight loss or melt away fat lol. BUT I do have a little bit of loose skin and cellulite in areas that this is actually proving to be helpful for. I've definitely noticed a difference in the tightness the skin and suppleness to. It contains caffeine with 8- hour time release and also packs this cool minty sensation when you apply. Depending on whether it keeps helping will determine whether I buy again as it is a subtle difference. 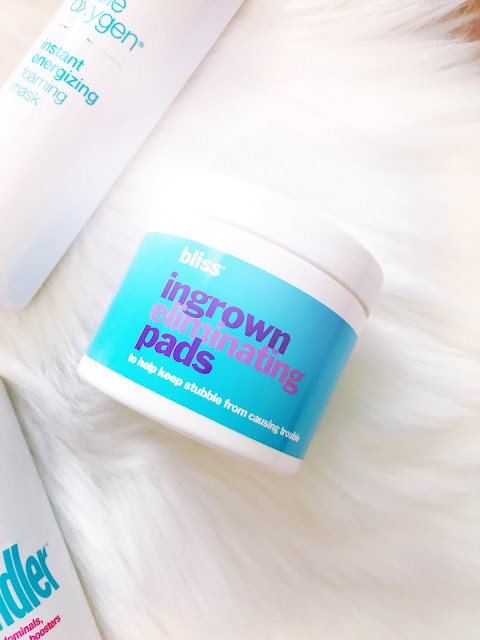 Ingrown Eliminating Pads- Now this little guy was recommended to me when I did laser and it really did help prior and through the process! Although I don't have to use them much anymore since getting Laser Hair removal (Whole new post coming on that one ;) ), but if you get little nicks and bumps from shaving your under arms, legs, bikini area, etc, these will save you from those issues using salicylic acid. I still use them in my under arm area especially during warm months when you are constantly shaving. Although tbh I'm probably going to go get them lasered soon too hah. I'd say if you get annoyed by this often get this product. All in all I really enjoyed all of bliss's products. Especially the foaming mask and the lotion! You can pick up bliss at Ulta today or on their website at www.blissworld.com!